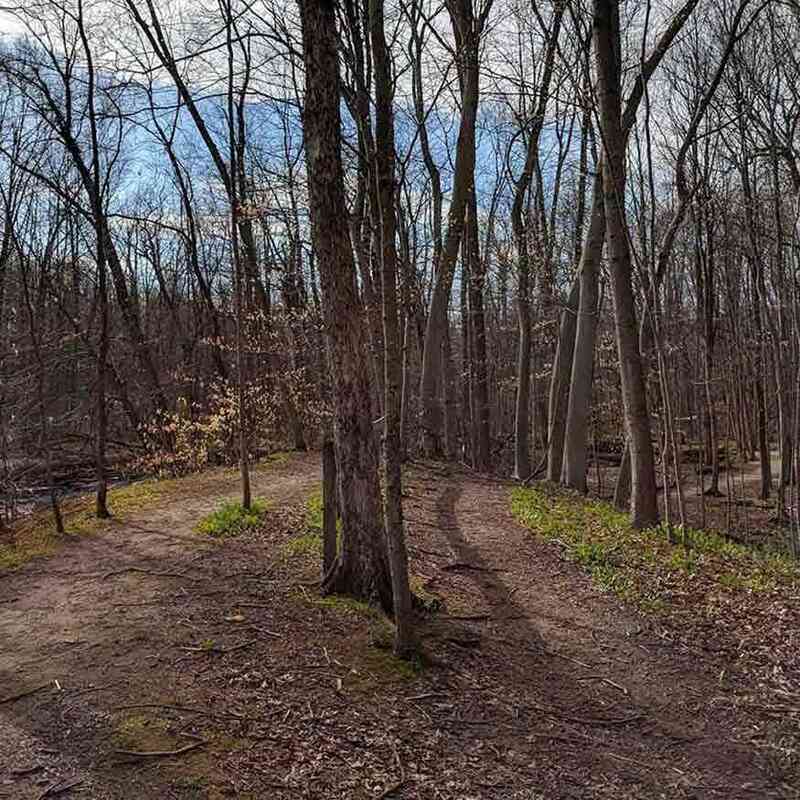 Powder Mills Park is a Monroe County Park, with 380 acres of steep hillsides, creek-side meadows and wetlands. 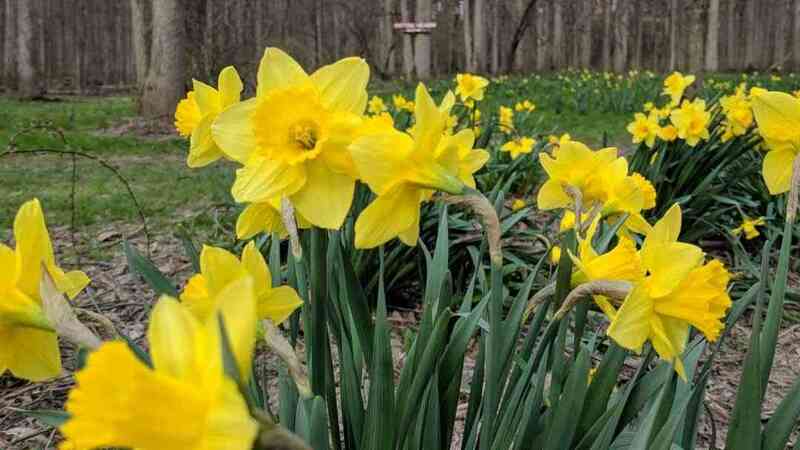 Fan favorites would have to include the fish hatchery—you can feed the fish—and the Daffodil Trail in early May. Visitors can also fish in Irondequoit Creek. Before heading out, print the trail map and park map. The color coded hiking trails and additional details will keep you on the right track. 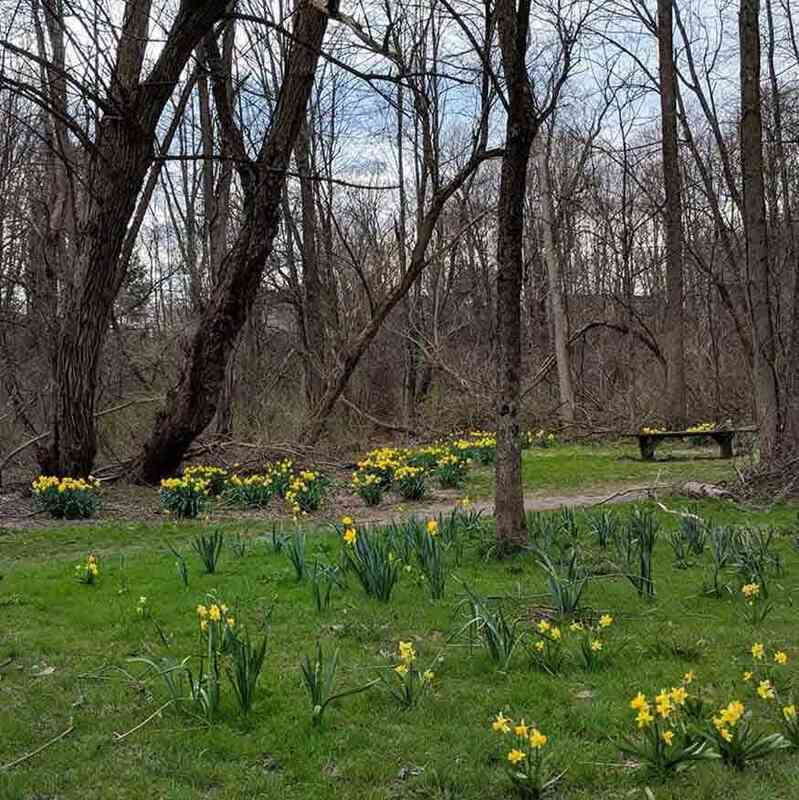 A 0.7 mile (one way) walk that is especially wonderful around May 1 when the daffodils in the meadow are in full bloom. The path is dirt and sand along Irondequoit Creek, and passes through wetlands. A .8 mile walk that takes you through a large field of milkweed which is a favorite spot for butterflies. Keep a look out for hawks circling overhead. A 0.4 mile walk (one way) which has an overlook point that allows you to see west for miles. Also watch along this trail for the remains of the old Rand household. 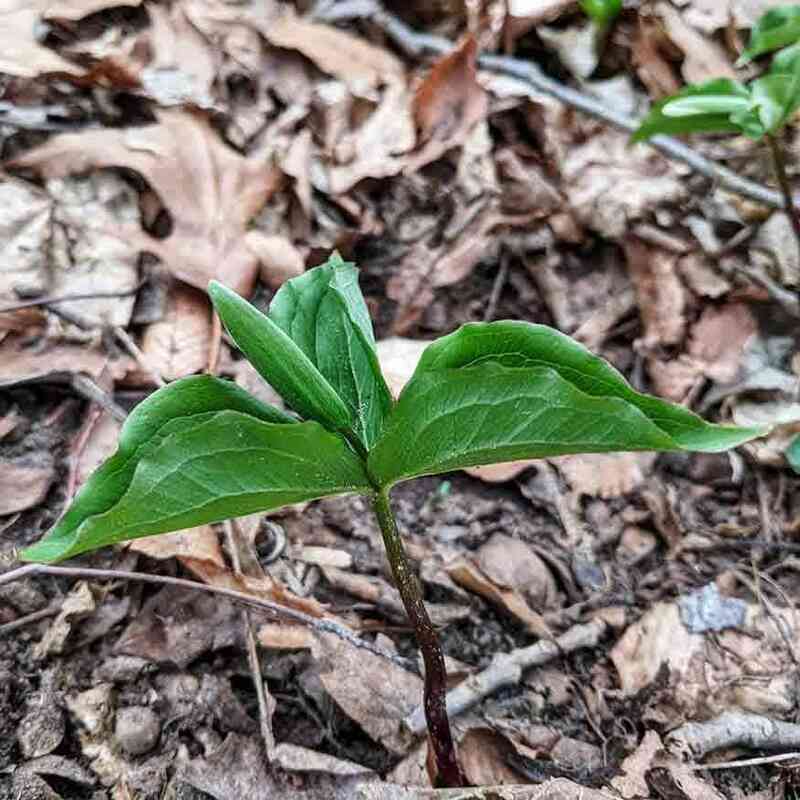 A 0.5 mile (one way) walk that will bring you along the wetlands and through an area of unique plant life. A 0.6 mile walk which a small section opens up to a very large field filled with ragweed and other wild flowers. 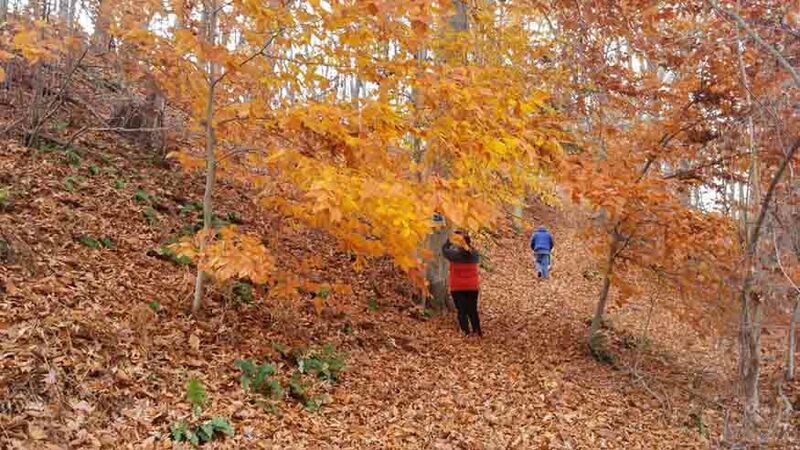 It will also take you through woods filled with maple, oak, and many other types of trees. 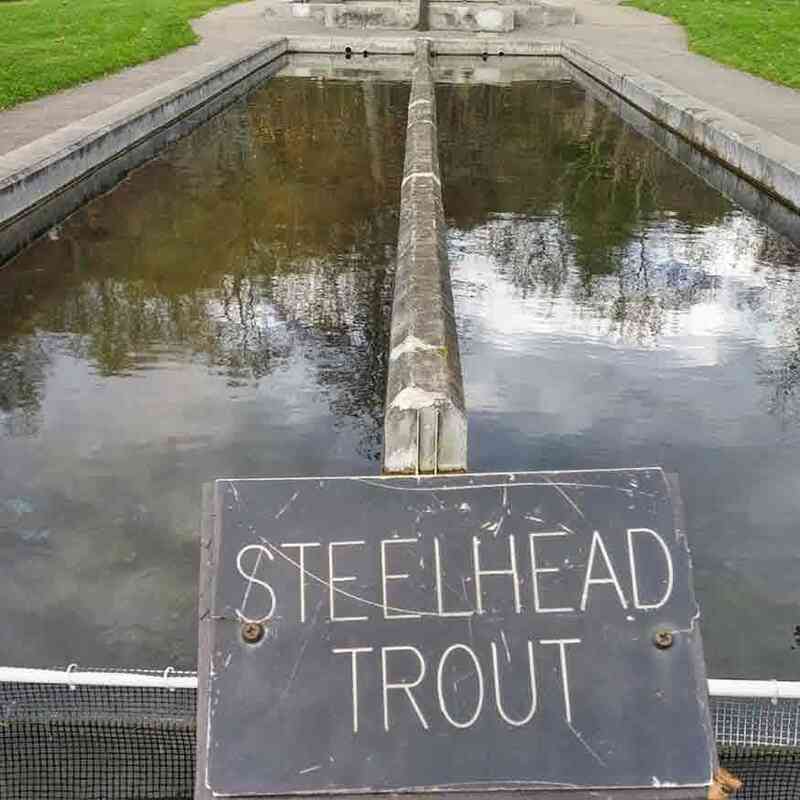 The Fish Hatchery at Powder Mills Park was established in 1933 . 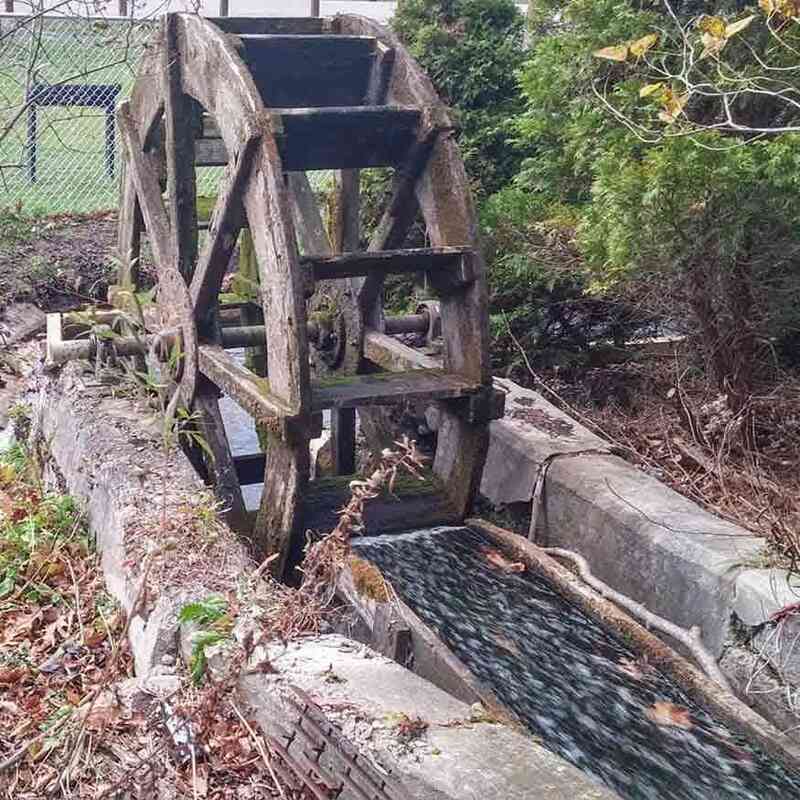 Like the Caledonia Fish Hatchery, the hatchery at Powder Mills Park is open all year long. 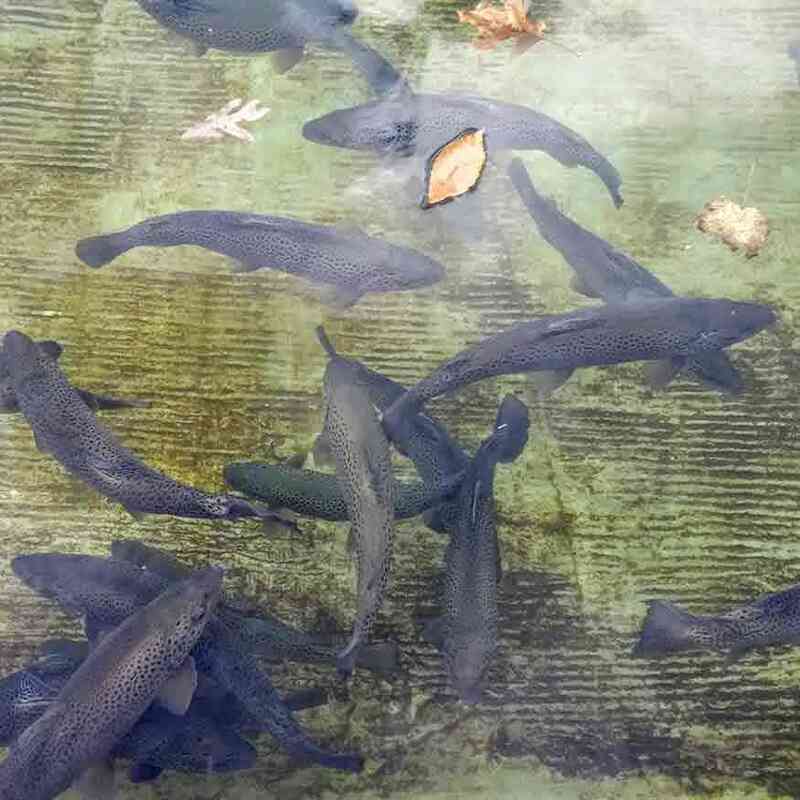 There are 20,000 fish in various stages of development raised here. One of the main draws to this park is a roadside-attraction not located in the park at all; in fact it is private property. 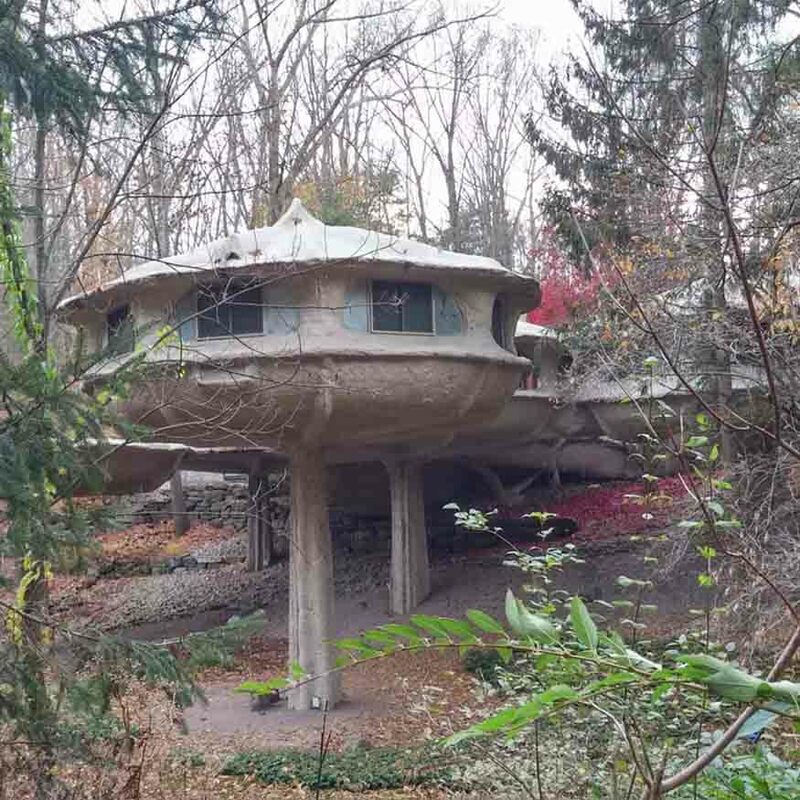 That doesn’t stop visitors to Powder Mills Park from admiring The Mushroom House from the road. The best place to park and see the house is in the Fish Hatchery lot. 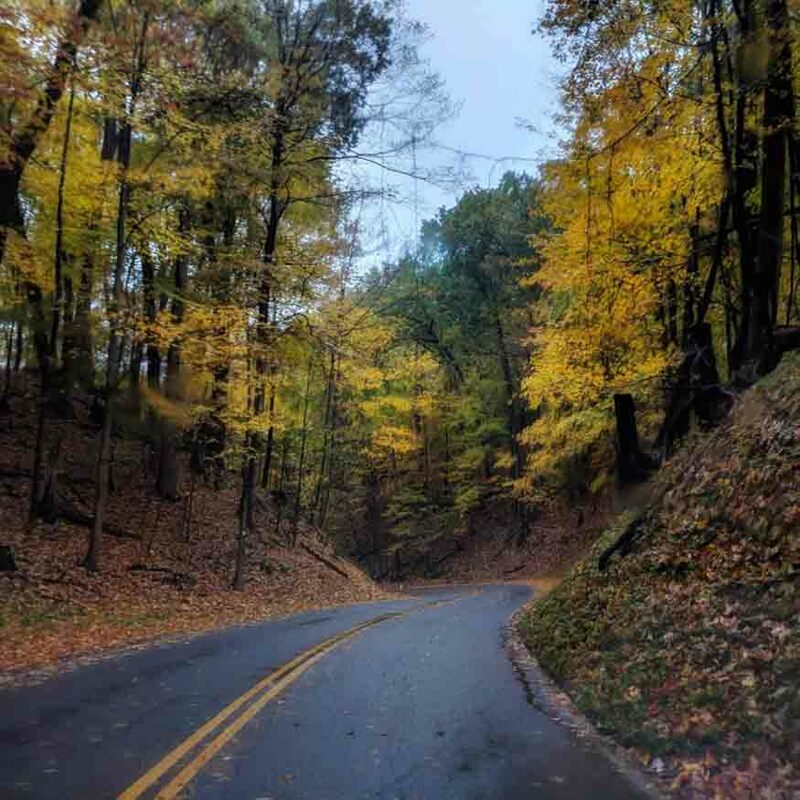 I will say that the road has very little shoulder so if you plan to peek or take some photos, mind the traffic since cars tend to whip through the park.